Jumping in the car and going for a ride or discovering a new destination with your dog is a lot of fun. To get to your destination safely, place your dog in a secured area of the vehicle, such as a crate, carrier or dog seatbelt. Dogs who are not secured or are placed in the back of pickup trucks are susceptible to being thrown from the vehicle or killed or injured from flying debris. When going for a walk with your dog, be sure to go where you can keep him with you. 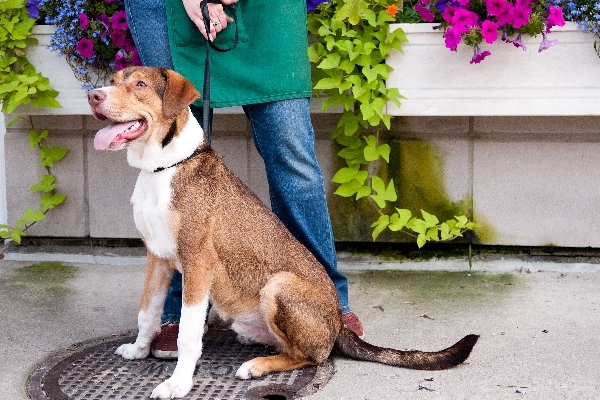 Leaving your dog unattended in public (tied to a tree or post while you go into a store), even for a short time, opens up the opportunity for him to be stolen or mistreated.